Ahh, it’s getting harder and harder to remember what day it is! If I didn’t write this blog every few days, I wouldn’t have a clue! We had a late start getting away from Reno on Saturday, despite setting the alarm clock so we’d get up early. We had a couple of stops to make before leaving town and they took longer than anticipated. But it was a nice drive on another sunny day. We crossed the border into California sometime late afternoon. We stopped to eat lunch along the road a short time later. I’d considered having an apple for dessert, but thought I’d have it later. I should have eaten it when I had a chance. Just a few miles down the road we had to stop at an “Inspection Station”. “A couple of tomatoes, some lettuce and some apples,” I replied. I forgot about the raspberries I’d purchased a couple of days ago. “I’ll have to come aboard and check your fridge,” the attendant said. Of all the things in it, she confiscated only the apples. They were the only thing left that we’d brought from Canada. It was nearly four o’clock when we stopped at the Visitors Centre at Mono Lake, a sparkling blue lake that was very photogenic, and only twelve miles from Yosemite. While there we learned that there were no camping sites within Yosemite Park that could accommodate us. We decided to camp at the nearby Mono Vista RV Park for the night and go into Yosemite in the morning. It’s a small park, with a few permanent mobile homes and small spaces, but there were several RVs there for the night, either on their way to Yosemite or just out. A very strong wind rustled the leaves of the poplar tree above us, sounding like rain. There was no rain though. How many days has it been since we’ve seen any rain? I can’t think of one day since we left Peterborough. We were on the road by 9:15 on Sunday morning and a half hour later we were climbing uphill towards Yosemite. If we thought that the drive through Yellowstone was breathtaking, this was more intoxicating and even a little bit scary at times. The road climbed and twisted along the side of the mountains and slightly back down into valleys before steeply climbing up again. By the time we reached the entrance to the park, at Tioga Pass, we were at nearly 10,000 feet and we’d already taken fifty or more pictures. It was a slow climb, but the motor home made it without incident. It was cold up there! People were wearing heavy coats – quite a change from Reno. We stopped to take a photo of Half Dome, and then we climbed 800 feet up a rocky hill, just to challenge ourselves, I think. It was a marvellous view from the top. We’d planned to drive to Yosemite Village where we could park the motor home and take the bike up to Glacier Point, but we made so many other stops along the way, to snap more pictures, that it was already four o’clock when we got there. Since we had to be out of the park before we could stop for the night, we reluctantly continued through and out the north exit. Although we couldn’t camp in Yosemite Park, we did find a spot just outside, within the Stanislau Forest. Our only neighbours were a young couple in a tent several metres away from us. We hoped to see some animals, but no such luck. I was glad that we were inside, just the same. We had no power or internet for computers so we went to bed at 9:00 to read, but the day’s adventure had tired us out and the books were soon dropped and the light out. What a stupendous day! Today was a day of travel. Another mechanical problem caused a delay in reaching San Francisco, but fortunately it wasn’t an expensive one. It was 6:30 when we finally got ourselves into the RV Park closest to downtown that we could find. It’s small, and maybe not in the best neighbourhood, just across the river from San Quentin. I convinced Jim to lock all the outside storage compartments. Tomorrow, we hope, we’ll get to explore San Francisco. 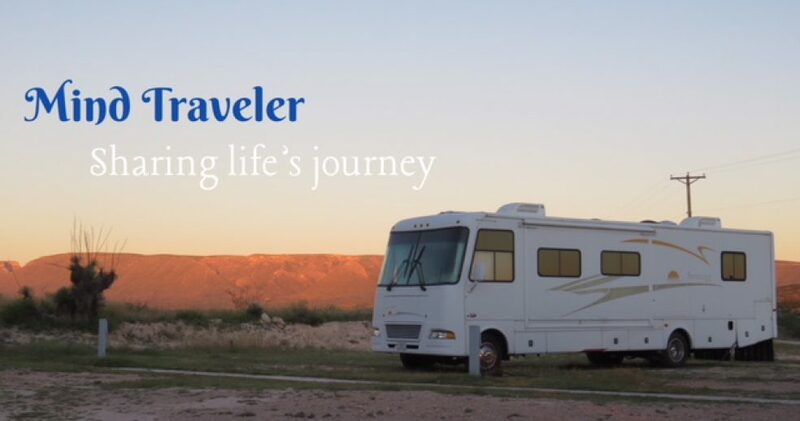 This entry was posted in RV Travel and tagged California, San Francisco, travel, Yosemite. Bookmark the permalink. Actually, the ferry from San Quentin to S.F. is $8.20 return each. The all day transit pass is $13.00. However, if you only take the Cable Car one way it is $5.00, so $13 is pretty cheap to be able to get on and off any transit vehicle for the whole day. SF transit has street cars from Milan, Italy and from Washington DC and other cities as well. They are all unique and are mixed on each of the routes. You never know what you will be riding. Some have controls at both ends so they don’t have to turn around at the end of a line. They are all full all the time. 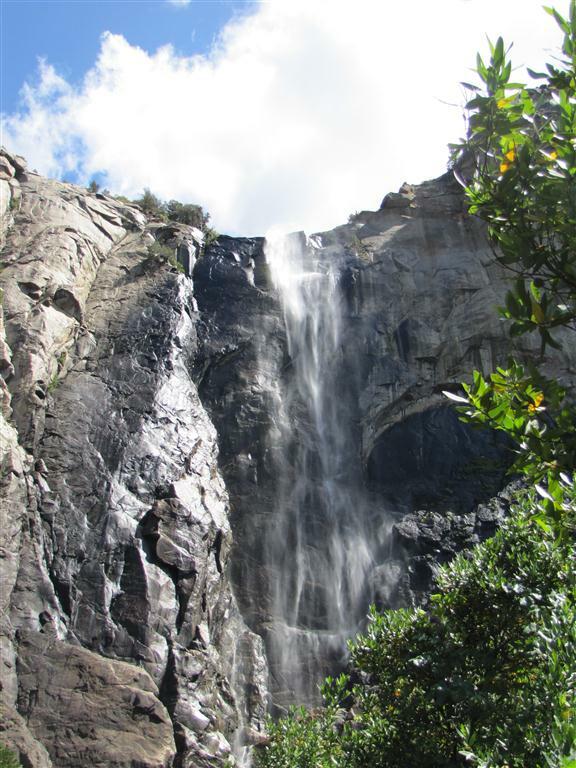 This is just a great travelogue, and yes Yosemite is another place I’d like to visit? Did you see Sam? Your descriptions and photos paint a good picture. We will get to San Francisco en route to and from S Korea. We only have an hour between flights going to Incheon, but we’re spending a few days on the way back. My Dad has already suggested taking a bus tour, which I’m sure we’ll do. If it’s one of those “hop on–hop off” types of tours, that would suit us just fine. Your insights and recommendations will be welcome. Are you planning on coming home soon, or have you run away for good? If so, good for you. :} You can tell folks that you’re travelling to “find yourself”. Hope you like what you find. More info in next blog, but it may not get published until after we leave here.